From jazz to hip-hop, from readings to parties and street art - the Alte Feuerwache Mannheim is THE destination for music and culture lovers in the Rhine-Neckar region. The landmarked hall of the historic building on Alter Messplatz, which served as Mannheim's main fire station from 1912 to the 1970s, accommodates up to 1,000 visitors. It has a sensational acoustics and its very own, special industrial charm. 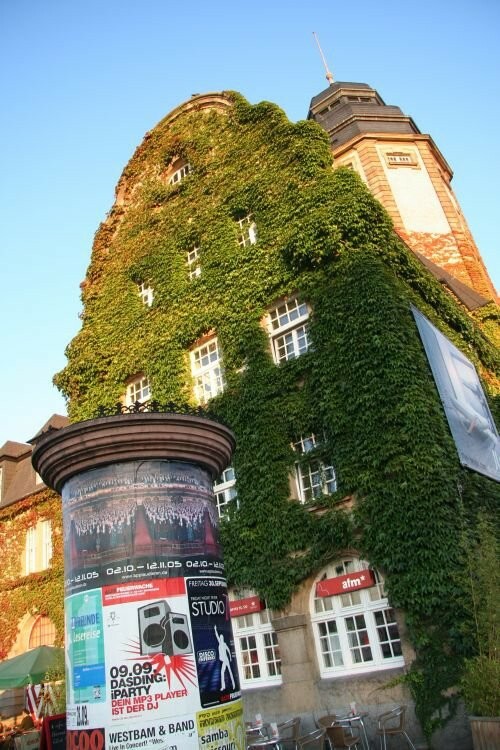 In addition to the regular concert venue, Alte Feuerwache is (co-) organizer of several major festivals: "Enjoy Jazz - Festival for Jazz and Other", literary festival "Listening", puppet theater festival "IMAGINALE", performance festival "Prairie of the Prairie" and "New German Jazz Award ". In total, around 300 events take place in the Alte Feuerwache every year. The café | bar Alt (...) Show moree Feuerwache on the ground floor of the south tower is undoubtedly one of the most comfortable spots in the Neckarstädter Gastro scene. Come in and enjoy in an incomparable atmosphere a pleasurable (Aus) time with delicious coffee specialties, fine wines, creative cocktails and special culinary delights - and lots of program! Zusätzlich zum regulären Konzertbetrieb ist die Alte Feuerwache (Mit-)Veranstalter von einigen bedeutenden Festivals: „Enjoy Jazz – Festival für Jazz und Anderes“, Literaturfestival „lesen.hören“, Figurentheaterfestival „IMAGINALE“, Performancefestival „Wunder der Prärie“ und „Neuer Deutscher Jazzpreis“. Insgesamt finden in der Alten Feuerwache pro Jahr (...) Show more rund 300 Veranstaltungen statt.